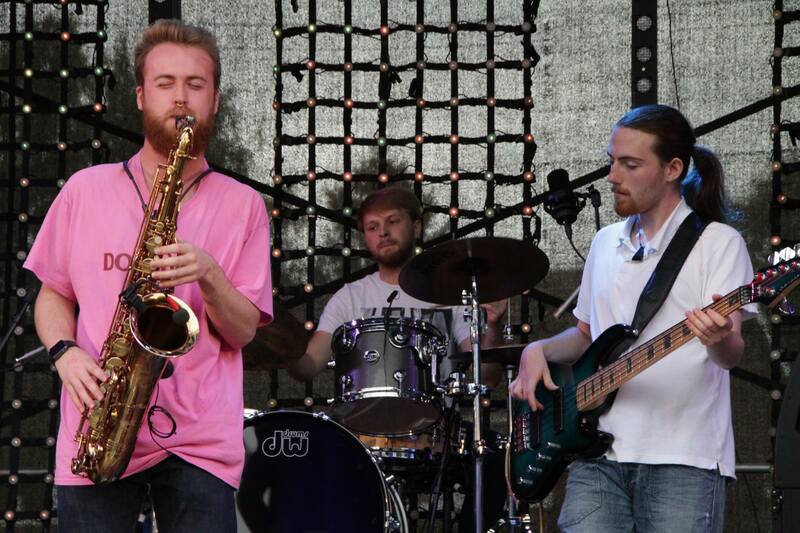 Each week we’ll be honouring the Sunday Joint’s link with Leeds College of Music by featuring the university’s upcoming bands ahead of their support slots at HiFi. 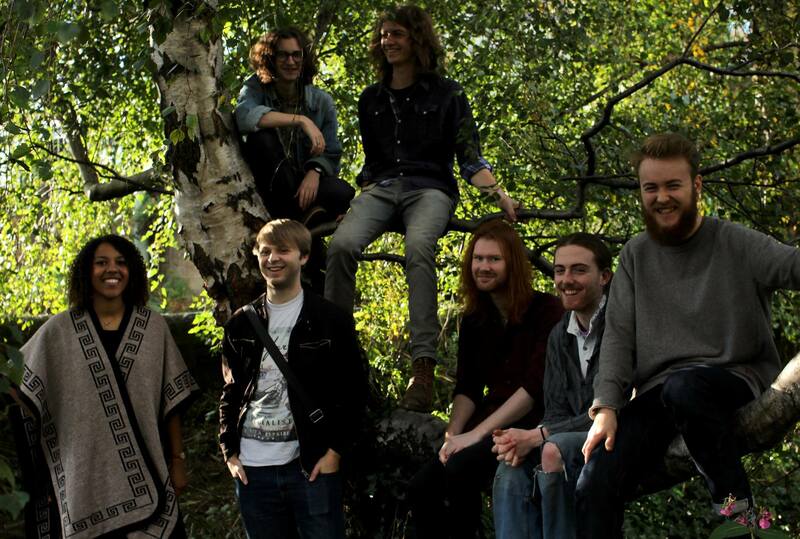 The first band is jazz-focussed outfit Nag Champa. It’s an Indian fragrance which is used in a popular incense – when we first became friends it was a constant aroma whenever we would get together. When did you first realise you had the chemistry to form a band? Do you have to work at this, or does it come naturally? What is the dynamic like now? We have made music as smaller groups previous to this band, it was just a matter of time before we started to make music as a big group. Playing together for 2 years has shown us that as we progress it only gets more natural and just as fun. You say your style is ‘jazz, rock, hip-hop and everything else [you] hear’. Is it easy to write songs when you have such a broad taste? No, but we do our best! Our song-writing process varies and we are quite picky about what we let through to play at gigs. We want our songs to be the best they can be! How has LCM helped you to grow as a band? What is the community like there? LCM facilitates our learning and our rehearsing, it’s an invaluable resource that we are milking as much as we can whilst we can. As most of us are now going into our third year it is only motivating us to make the most of what we have even more than before. The community is second to none, all the students love to support each other in all of their endeavours and we all love collaborating and attending each other’s gigs. To reiterate, we’ll miss it terribly once it’s gone! If you could add one famous musician to your line-up who would it be? 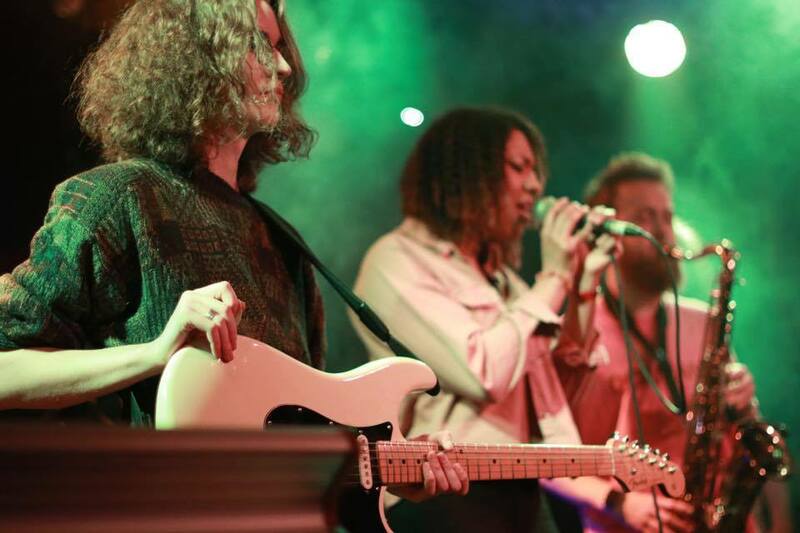 Where do you enjoy seeing live music in Leeds? What made you come to the city in the first place? We love Belgrave Music Hall, Brudenell Social Club, The Lending Room & Assembly Rooms. And of course Hi-Fi! I think we were all ready for a change when we decided to come and study in Leeds. Something about diving into the unknown was hugely appealing, and i’d say it’s worked out quite well so far! What else do you get up to in Leeds? Do you have any recommendations or hidden gems you can tell us? We love going to Beaver Works for a hefty night in front of the soundsystem. Not so much a hidden gem but always worth keeping an eye on. The Old Red Bus Station puts on some really good jam nights, as well as a new night coming up called Unified Soul which looks to be an absolute belter. What else have you got coming up in the near future? We’ve just finished up recording a live session with the Tight Lines crew which should be on the interwaves ASAP. We’re also supporting HUMAN events which is an active homeless aid group for their launch on October 14th in Manchester. Otherwise we’ll be beginning preliminary work towards our next EP, or maybe even a full length album. RSVP to the Hyde Park Brass and Nag Champa event which is on 17th September. And like the Sunday Joint Facebook to keep up to date with all our events.